Upon first learning that I made this mistake my heart dropped. That letter went out to my entire list and there was no way to correct it. Eeeekkk!!! I was extremely embarrassed and those little voices in my head began to shout some harsh words. I was brought back to a post I read awhile ago where someone was upset that they bought a product that had a few grammatical/spelling errors in it. She felt that it was a direct reflection of who the person was and how much they cared (did not care) about their work. I have never been great at grammar. My eighth grade English teacher can attest as I spent hours and hours after school getting extra help. I do not feel that my mistake is a reflection of who I am or a lack of carelessness....I simply got it wrong. Thank's to those dear friends I now know the proper way to use these words. A lesson I hope remains engrained in my brain. I am human. That means I am forever learning and growing. I can't let my mistakes define me. I need to keep moving forward a little bit wiser and with the lesson learned tucked into my pocket. I am not perfect and will never try to be. I am uniquely me, mistakes and all. I have learned that sharing the truth of our stories brings us together. We all make mistakes and that is okay. We cannot let our fear of making a mistake hold us back. We must show up in this world and give it a try. It is in these moments that we grow and expand. 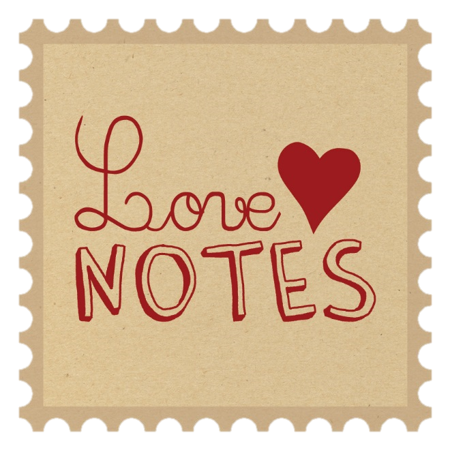 I am excited to announce my final e-course of 2015, Heart Notes. They say we teach what we most need to learn and that is very true for this. I invite you to join me in this soulful class where together we will close out 2015 with love, tenderness, and reflection. You have journey through another year. Your feet have taken many steps, memories have been made, hearts have been broken, love has been shared. There are so many moments to be grateful for, to celebrate, and even to let go of. Join me December 2nd - January 1st and look back on all that has been. All companies end each year taking inventory of what is left. This helps them plan for the new year. You will do the same. Taking an inventory on how you feel, where you stand, and what you are still carrying around. You have done so much this year, YES you have. Let's take the time to properly celebrate what was. Through ceremony and a formal toast let's acknowledge how much you have accomplished! Not all moments in a year are beautiful and grand, but it is every moment that makes up who you are. There are some moments that you no longer need to carry with you. Through journaling exercises you will be able to let go of these moments and say goodbye. What do you envision 2016 to look and feel like? Through vision boarding and quick journal exercises you will uncover what you most desire for the new year and how you want to feel. Yes, is time to say goodbye to 2015 and hello to 2016. You will write letters, send notes, and prepare yourself to step boldly into 2016 with a wide open heart. Let's clear space so that you can boldly step into 2016.